The finish is done in our natural Black IGEA stone, in its various sizes and formats, crushed or boulder. 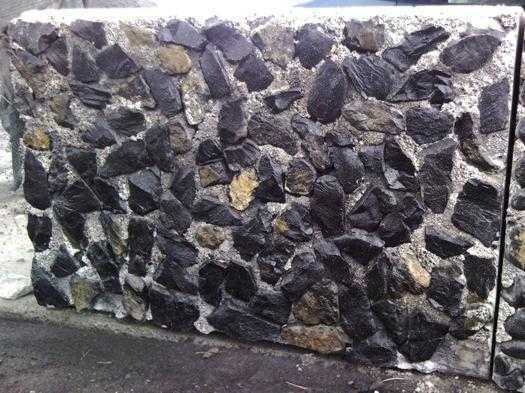 Gabion cube provides architectural and landscape look nice in the work, and its natural stone finished can be mixed with the environment surrounding the site visually integrating or highlighting. Unlike other prefabricated used in the containment walls, gabion cube structure is very advantageous from the technical and economic´s standpoint, given its functional characteristics have no other structures. All units are linked together forming a continuous structure automatically by simply placing each piece properly, this is due to the cracks which each piece in front and back, which makes them fit perfectly and join the anterior teeth, rear and side as we see in the image. 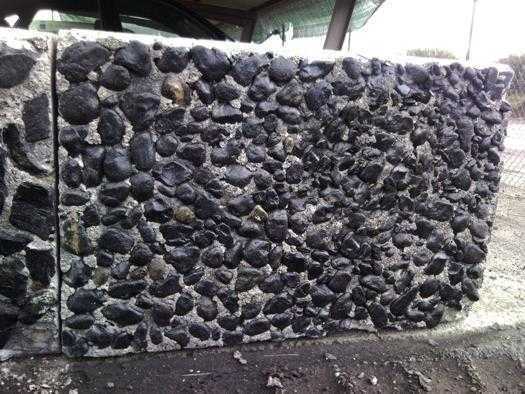 Another advantage of Gabion Cube is its easy and quick installation, this is because it has a single anchorage point. With the single point of attachment is very easy to handle once it has been lifted by the crane, since you can move and rotate in all directions by a single operator. The anchorage is type bolt, which gives it a quick and safe mooring using clip type Quicklift. Because the union of all the pieces you get a homogenous block that has the same characteristics of resistance us any point of the structure. These structures of HA-25 concrete reinforced with steel B 500 S but can be done in other resistance at the request of our customers. By their nature require no maintenance so you can say they are for life, with a possible variation in the field or on the needs of the work in the future, you can modify the structure by providing or removing parts . 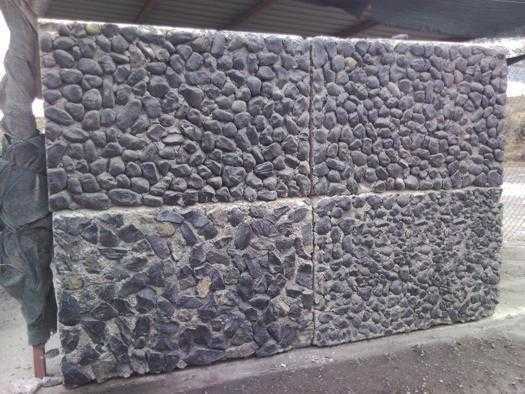 The standard sizes are 1200mm Gabion Cube. width, 800 mm. high and 500 mm. deep, natural stone finishing is performed on the main face but can be done on either side of the piece. In short it is a containment structure for walls of great beauty, easy and quick installation, handling without work and without the intervention of skilled labor, which gives it a very important economic advantage.